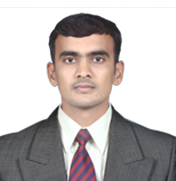 Mr. Yuvaraj D. Patil is very much interested in invention and innovation of Technical Projects. He completed B.E in Mechanical Engineering at VSMIT Nipani 2017. He joined LEAD as student in 2014, won the best leader award - 2015 from Nobel Prize winner Kailash Satyarthi and Infosys chairman Narayan Murthi, in 5th Yuva Summit 2015 Hubali for “Air for Good Health project (Smokeless chulha)”, as well as in 2017 he won The BEST LEADER AWARD-2017, from Gururaj Deshpande in 7th YUVA SUMMIT for Project Multitalented robot machine for arecanut farming, also the project won 1st prize in Anvetiona 2017 held by Agastya international foundation in Bengalure. 1st runner in Navapravartya 2k17 SGM Gadhinglaj, 1st prize in Empire 2k17 SBGI Miraj, also he won the Best Project award of 40th Series student project program 2017 of Karnataka State Council For Science and Technology 2016-2017 at NMAM Institute of Technology, Nitte. He has attended International Student conference ABHIGYAN 2015 held by KIT Kolhapur. Also attended the LEAD PRAYANA 2015, and was the LEAD Ambassador of his college in the same year. He was the Student of the year 2017 and best outgoing student of college for 2013 - 2017 batch. He has studied in Hyderabad for Engineering competitive exams. Initially he worked as lecture at M W Polytechnic, Chandgad in 2018. Presently working as a Program Trainee and handling technical projects.